Aylett et al. 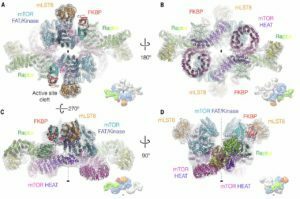 published in Science (DOI: 10.1126/science.aaa3870) the structure of key drug target mTORC1 using the MultiBac system, providing critical information on the function and intricate regulation of this important enzyme which is implicated in common human diseases including cancer and diabetes. This entry was posted in News on January 7, 2017 by admin.